First-year and incoming transfer students can tailor their lower division and upper division economic coursework to their interests and preferences. The Economics degree at UC Davis is very flexible. Students can tailor their upper division work to their interests and preferences. It may be advisable for students to take a course load of about 15 units during the first quarter at UC Davis, while adjusting to a new campus, the quarter system, and other changes. Students need to average 15 units per quarter in order to complete all requirements in four years, but can easily make up the first quarter deficit later. In planning course loads after the first quarter, students also should consider outside responsibilities and commitments. The Department of Economics advises students to begin their mathematics series, foreign language and English requirement as soon as possible. For students who are considering graduate study in Economics, Math 21A, 21B, 21C and 22A are strongly recommended. Students could begin either Economics 1A or 1B the following quarters. The Economics major consists of lower division preparatory work: Economics 1A and 1B, Statistics 13, 32 or 102, and either the Mathematics 16A and 16B or Mathematics 21A and 21B series. Students must complete 44 upper division units of economics work, including the Intermediate Micro and Macro Theory courses (ECN 100A, 100B and 101); Analysis of Economics Data (ECN 102); one economics history course (ECN 110A, 110B, 111A or 111B); three advanced courses (after completing ECN 100A, 100B and 101); and three elective ECN courses to equal 44 units of upper division economics (11 upper division economics courses). Advanced courses are upper division economics courses, which have a prerequisite of 100A/100B or 101. Any lower division work listed above not completed at your transfer college should be started the first quarter you are enrolled at UC Davis. 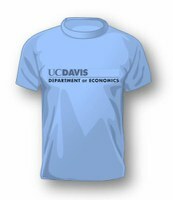 If you are unsure which courses articulate toward lower division requirements at UC Davis, check out the website ASSISTor the Economics Department website or come to the Economics Department Undergraduate Office for help. Priority will be given to transfer students who have satisfied both the Mathematics and Principles requirements for the Economics major.